As usual, mega limited, so get those orders in quick if you want in. 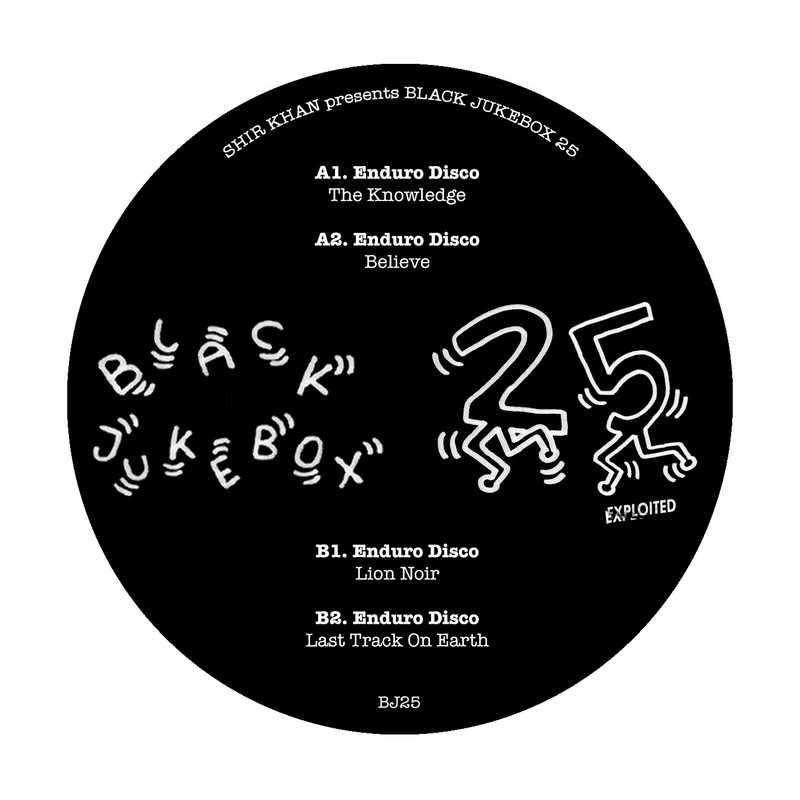 Shir Khan Presents Black Jukebox 25 featuring anonymous producer Enduro Disco. This one is boomin’ in ya jeep. Man of mystery Enduro Disco received plenty of plaudits for his first two releases on Exploited Ghetto. 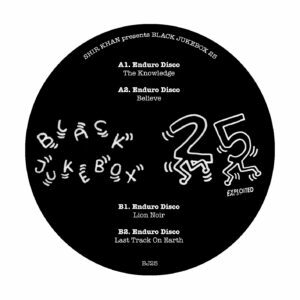 Something tells us that this contribution to the Shir Khan helmed Black Jukebox series will set plenty of pulses racing, too. Check first the dreamy and loved-up roll of opener “The Knowledge”, which sounds like a house remake of a lesser-celebrated 1980s Miami synth-pop cut, before sinking your teeth into the swirling, piano-sporting late night house bliss of “Believe”. The publicity-shy producer joins the dots between fizzing synth-funk and heavily electronic house on B-side opener “Lion Noir”, while “Last Night On Earth” is a welcome invite to strut our stuff to the accompaniment of warm, pulsing synthesizer chords, fluttering vocal samples and chunky disco-house grooves.